Lunchbox was born in 2007 as a new brand of our group, Exclusive Catering, at the time Cluj-Napoca started to become familiar with the mall concept. 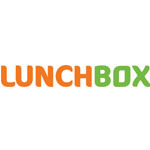 Lunchbox restaurants network has developed fast with three locations: Lunchbox Iulius Mall, Lunchbox Polus Center and Lunchbox City. Lunchbox City has bought an innovative concept: café, bistro, resto – in the morning, self service line between 11-16 o’clock and a pleasant ‘a la carte’ restaurant in the evening. Over 1,800 customers taste daily traditional and international “slowly cooked dishes” in our restaurants. Each location serves by its own logistics with fresh food, including desserts and bakery products. Lunchbox kitchen do not use food additives, preservatives, colorings or flavor enhancers, just natural spices. The great diversity of dishes and savor hold close to us a friendly clientele, rewarded through a system of loyalty cards: Rosemary, Vanilla, Pepper and Chilly. Since 2014 we have expanded our network with Hugo – restaurant & treats (Bd. 21 Decembrie 1989 Nr. 77, The Office building, ground floor). The restaurant is entirely new as concept in Cluj-Napoca, with an innovative, relaxed and natural approach as well as a cosmopolitan atmosphere. You are welcome in our restaurants!